Fair enough. Like so many “imaginary” parts of childhood, there exists a tension between the world of the creative child and the realistic adult. At some point these things must be reconciled. My children know that I believe in fairies — because I do. When I walk alone through the forest, it is not uncommon for me to “sense” the presence of something that I cannot see or hear. When this happens, I often close my eyes, engage my imagination, and happily “converse” with what I am feeling. I give it form in my imagination – often as a little magical person. Sometimes winged, sometimes with colorful clothes, sometimes with a stately beard, sometimes with crazy long locks of golden or coal-black hair. I give the feeling form and I allow the form to have a voice. And then I talk to it. If I just lost you – hang in there. It is actually not as esoteric as you think. The truth is, I “feel” things all the time – and I bet you do too. I never feel truly alone. I always feel surrounded in life. A day doesn’t go by when I don’t experience dozens of great ideas for stories, projects, businesses, witty things to say. I feel whispered qualities of energy whenever I take a moment to feel them. They are always and everywhere. As human beings, we naturally see the world through a very specific lens: the human lens. And since human beings understand everything through our senses, we then “make sense” of what we see, hear, taste, and smell … and this results in our understanding being naturally very human-focused. We say a mountain “sits” because human beings sit. We say that trees “stand” because human beings stand. Therefore, when we experience the magical side of nature — the shimmering, incredible mystery of nature … we personify the dynamics as fairies. I’ll be talking about each of the classic kinds of fairies over the next four weeks, so this week, I’d like to introduce you to … air fairies. Air Fairies are like the wind — they change. They embody and personify the quicksilver variability of nature. When a cloudy sky suddenly clears or a wind comes out of nowhere or you hear the inspiring sound of leaves rattling overhead, air fairies are at work. 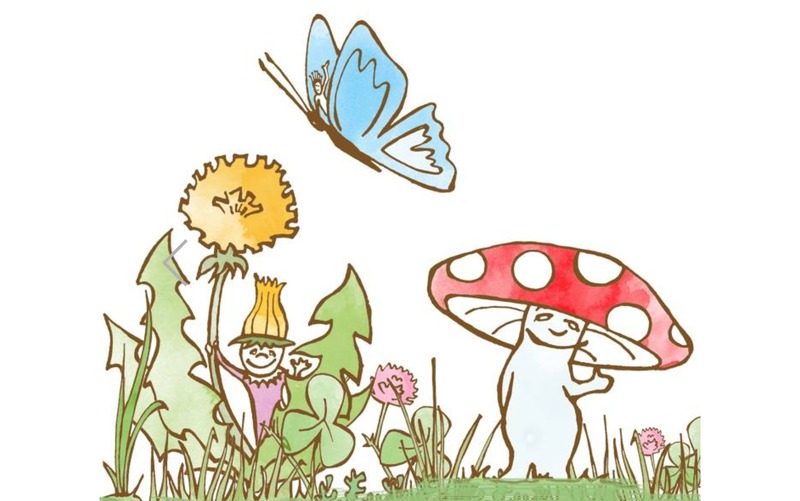 In the growth cycle of a plant, air fairies inspire the plant to push out leaves and flower. Imagine what that must feel like as a plant — that opening and breathing out. That is a key part of what air fairies bring — the opening and breathing out. The feeling of wonder and delight. 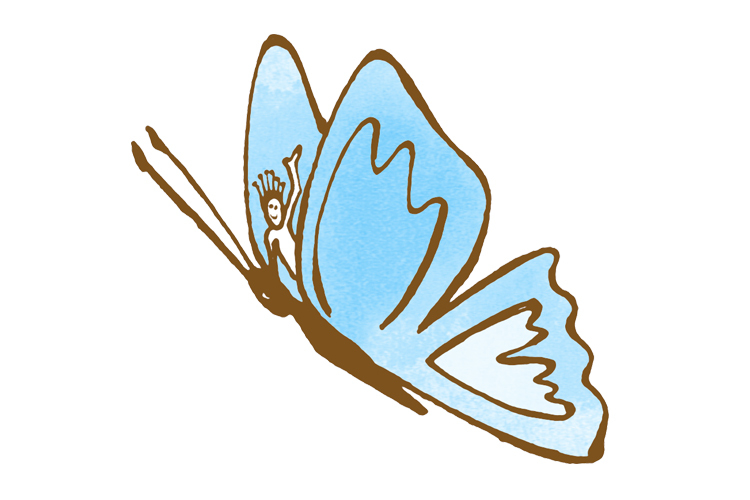 The quick moving, ever-changing, butterfly nature of children can be equated with the influence of air fairies. Again, think of the weather — one moment bright, the next moment cloudy. You never really know. This quality is a gift of air fairies. So when experiencing your children and others through the lens of the fairy world, pay close attention to the “opening” quality in plants — when plants blossom. Look for that wonder, the bubbling imagination, and the puppy-like delight in everything. That is where you will find air fairies. Continuing our exploration into fairies of the natural world, we move to the much less changeable but far more curious Water Fairies. I say curious because they tend to behave in a very consistent, steady manner … until provoked. 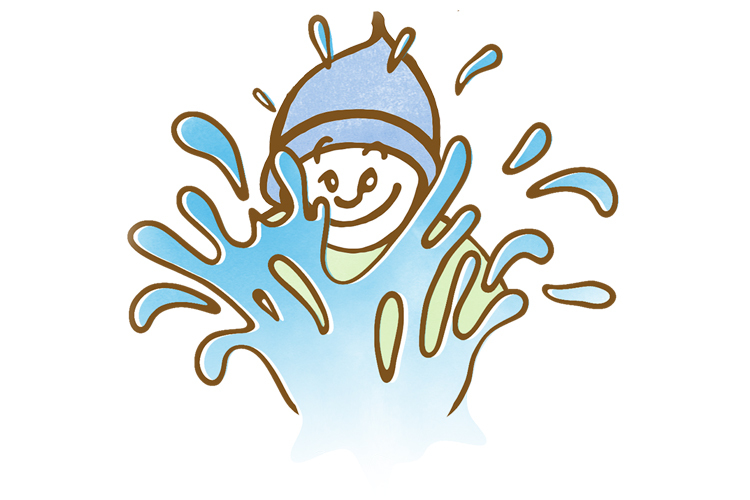 Water Fairies are like water — they tend to seek their own level. Imagine a lake: placid, deep, full of abundance, contained. This is the most common gesture attributed to water fairies — they are satisfied and calm. This is apparent in the growth cycle of a plant where the water fairies influence the rhythmic up and down nature of the stem, bringing water and nutrients up from the roots and into the leaves and flowers and fruits. Steady and dependable. Simple. No nonsense. And all of this would indeed remain steady and calm, were it not for a very important quality in water fairies: they are capable of great drama when provoked. Think of all the stories of the water nixies sinking ships and capturing sea captains. Now think of sea surges or tidal waves or intense flooding. Water can be very dangerous — and it is the same water that moments before was sitting peacefully and calmly before you. This dichotomy is key with water fairies. Think about snack time and your child is savoring every bite of that apple or buttered toast. That kind of presence and calmness and satisfaction is the home of the water fairies. Conversely, the hesitance to move or hurry or get going is also a sign that water fairies are at work. They like to stay in their pond. So keep your eyes open for when your children “seek their own level” and be prepared for moments that those water fairies are provoked … because a tidal wave might be coming. Gnomes, our most famous fairy folk, are indeed the hard workers they are reported to be. Like dwarves in the center of the Lonely Mountain, they spend long hours mining and polishing and storing and then back to mining. They are concrete and realistic, but they are still capable of having a little fun — especially with practical jokes! Earth Fairies are like the rocks under our feet. They are solid, dependable, serious, and occasionally difficult. They rule all that is underground and for this reason, they govern the roots of the plant. Winter is considered their season because it is during this season that the rest of the plant is dormant or non-existent. The roots, meanwhile, are alive and well. Your child will likely nod gratefully and then continue to carry on — for a gnome’s work is never done! 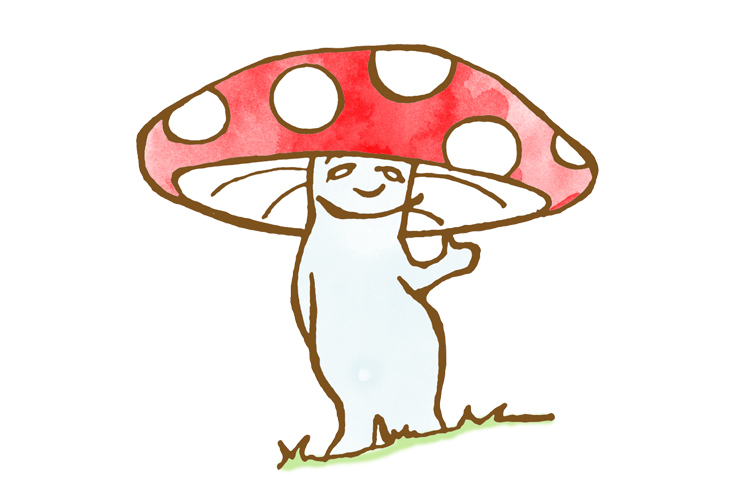 Download the Earth Fairies Fact Sheet. Now to the flashiest of fairies: the fire folk. Where there is a brightly-colored flower or butterfly, where there is a shock of lightning, where there is a rainbow or fireflies or sparkling light on the surface of a river, there are fire fairies. They are connected to the sun’s light and warmth and wherever they go, they bring the power of transformation. Consider fire. It is the ultimate transformer. Whether the flame consumes a twig or a piece of paper or a barn, fire will very quickly transform that twig or paper or barn into a pile of ashes. 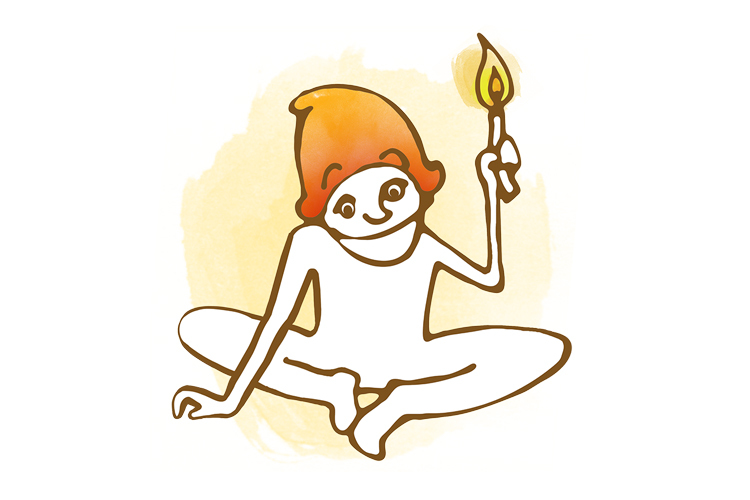 On a much smaller level, fire fairies are present when you have a “spark” of inspiration or a sudden idea (light bulb over your head). You are suddenly transformed with a new way of seeing the world. Thank you fire fairies! Fire Fairies are like the sun from which they come. They carry warmth and light. They often express that warmth and light in flashes and flickers and sparkles. In the natural world, they are manifest whenever transformation takes place — like when a flower transforms into a fruit, or a caterpillar transforms into a butterfly. They rule springtime when the natural world is coming back to life. A lot of fire fairies are needed to wake the earth up and transform dormant roots into growing plants again. We all know when our children are influenced by fire fairies because they are full of energy and inspiration. Often their eyes are wide, they have big smiles and they are excited about something ahead. When fire fairies are near, so are ideas, enthusiasm, movement, and change. Fire fairies love courage and curiosity — anything that takes your child to a new threshold.